The children meet through a handpainted spirit board—Josie in 1915, Alec in 2015—and form a friendship across the century that separates them. But a chain of events leave Josie and her little sister Cass Josie and Alec both live at 444 Sparrow Street. They sleep in the same room, but they’ve never laid eyes on each other. They are twelve years old but a hundred years apart. To ask other readers questions about The Boy from Tomorrow, please sign up. I've watched several movies before that have the same theme just like in this novel, such as the Hollywood movies Frequency and The Butterfly Effect, and Korean movies Ditto and Il Mare. Thus, I was not expecting much when I've asked for the reading copy of this from the publisher. This book really did exceeds my expectations because of how impressive Camille DeAngelis in writing it. Readers will be hooked once they start reading the story of the incredible friendship of Alec to the I've watched several movies before that have the same theme just like in this novel, such as the Hollywood movies Frequency and The Butterfly Effect, and Korean movies Ditto and Il Mare. Thus, I was not expecting much when I've asked for the reading copy of this from the publisher. This book really did exceeds my expectations because of how impressive Camille DeAngelis in writing it. Readers will be hooked once they start reading the story of the incredible friendship of Alec to the Clifford sisters, Josie and Cassie, even there's a 100-year gap. And in spite of the fact that they will never all get to meet at present time, the ending is still absolutely great and heartwarming. The magic of possibilities, the mystery of an old home with stories to tell. A young girl who was twelve years old in 1915 and a twelve year old boy in 2015 share their stories through time and form a friendship that will forever change them both. Josie and Alec were born a century apart, but the house at 444 Sparrow Street would help them transcend time to form a bond that would teach them both about life, grasping at what you want and taking a chance on believing in the unbelievable. It all st The magic of possibilities, the mystery of an old home with stories to tell. A young girl who was twelve years old in 1915 and a twelve year old boy in 2015 share their stories through time and form a friendship that will forever change them both. Josie and Alec were born a century apart, but the house at 444 Sparrow Street would help them transcend time to form a bond that would teach them both about life, grasping at what you want and taking a chance on believing in the unbelievable. It all started with a magic spirit board, found by Alec in the old house he had just moved into. That board would connect him to Josie and the opportunity to change her life for the better, even at the risk of them never connecting again. 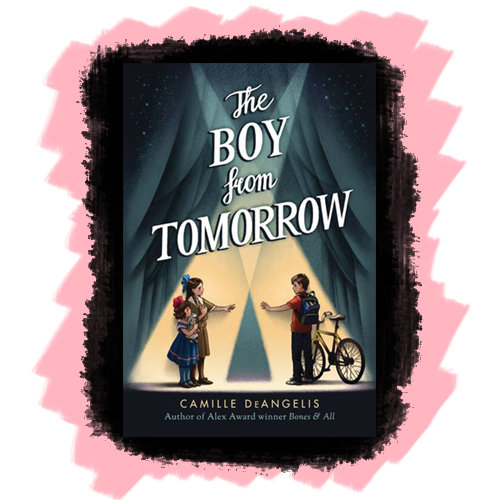 THE BOY FROM TOMORROW by Camille DeAngelis is a beautiful opportunity for young readers to feel the magic that words create as they are transported to another time and place. Simple and warm, this tale gives young readers a chance to exercise their limitless imaginations as they witness a budding friendship between two children who should never have met. What a marvelous opportunity to fall in love with books and reading! Camille DeAngelis’s tale is one that is ageless as we witness the helplessness of children caught up in abuse who are aided by a boy determined to help them, even if their future is his past. In a world of technology, it is refreshing to watch a young boy use old-fashioned detective work and the resources of a library to uncover the fate of the girls he met through time and possibly the magic of a child’s favorite doll. With an ending that is almost bittersweet, we see the chance for a new beginning for both Josie and Alec, even a century apart in time! Can we ever give our children enough magic to feed their imaginations or enough opportunities to witness and trust in innocent kindnesses? I received a complimentary ARC edition from Amberjack Publishing! Shortest synopsis would be: This is a story of three kids who found a way/s to communicate with each other despite their timeline differences, that led one to help the other two secure their future. But since I'm so generous, I can give you more than that one long sentence. Alec, a 12-year old from 2015, just recently moved in 444 Sparrow Street with her mom when he found an Ouija board that somehow introduced him to Josie(12) and Cassie(6-7), sisters from 1915 who are living with their mother who is a medium. Their exchanges eventually turned into some hard twists but at the same time, the realization that Alec can somehow help the sisters in their predicament with their abusive mother became obvious and he's set just to do that. But is that even possible when their century apart? And how can they change a future when it's already past. Here's a fact, I'm not really into Middle Grades because I never expect them to stir emotions from me, and I want my reads touch my emotions in any way. But THIS BOOK certainly stirred my emotions in a mess, wrecked way. AND I LOVE IT. Though this story tackled some serious, sensitive issues, I still find it a sweet story of friendship, learning how to value and treasure it no matter the circumstance. This book even teaches that life is what you make it, at least that's the message I got from it. The MCs, Alec and the sisters, Josie and Cassie are not the most extraordinary characters there are in Fiction, but they are unforgettable still. And thanks to the author's amazing talent, it was very easy to connect with them. Halfway through, I found myself connected aching for them. I didn't even see that coming. Like I said I never thought a Middle Grade book could stir such emotions from me. I want to emphasize that I love the author's writing. It was simple yet very descriptive and vivid, it makes the characters and setting so alive and every scene believable. The plot is unique and well-developed. The little history, especially the thing about Psychic are fascinating subjects that was handled well. Same with the abuse. It was handled well too as wasn't romanticized and glossed. I HIGHLY RECOMMEND THIS BOOK. In one sentence I can say this book is very engaging, fascinating, magical, emotional and simply amazing. It transcends all my expectation. This book was a really cute read! I'm really glad that I read it. Josie Clifford and Alec Frost live in the same house, 100 years apart, and forge a friendship by using a talking board. This was really interesting in the way that it was set up because it wasn't really a time travel book, but it had a similar quality to it, as these two friends were able to communicate even with time separating them. The story is told in alterna I received this book from Netgalley in exchange for an honest review. The story is told in alternating viewpoints between the past (Josie) and the present (Alec). I really liked this setup and I liked being able to get glimpses into both of their lives. However, I felt that the balance between the two viewpoints was tipped in favor of Josie. We really got to see more of her world, and the people in her life much more than Alec, which made his chapters a little more one dimensional and not as deep. There are some tough concepts in this book, mostly the abuse that Josie and her younger sister Cass suffer at the hands of their mother, but I think it is well done and it is never glamorized or romanticized. In fact, Alec is completely shocked when he finds out, and decides to do everything in his power to try to help them. I was a little surprised that there wasn't more conflict at the end of the novel, but this didn't detract from the story. Two people find a connection that transcends time, and it’s exactly what they both need to shape their individual futures. When Alec moves into 444 Sparrow Street, it’s old and rundown and is a promise of a new beginning with his parents recently divorced. Like all old buildings, he expects it to have its secrets, and he finds one hiding in a drawer: a handmade talking board with angels in each corner. At first, it seems like a fun game to play during a sleepover—until he realizes the entities they’re speaking to aren’t ghosts but people. A hundred years ago, in the same house, Josie is no stranger to talking to spirits. In fact, her mother makes a living doing just that. What she hasn’t heard of, however, is speaking to a person who’s very much alive but in a different time. For Josie, the future is a scary prospect. Her mother keeps her locked up tight in the house, and the future means freedom, as well as uncertainty. Worse than that, it feels so far away. For Alec, the past is terrifying, because he knows, logically, that his new friend is already dead in his timeline. But the way he always wants to remember her is the way she appears in their shared house: vibrant, uncertain, and very much alive. - I forgot this book was even middle grade. Now, I don’t read a ton of mid-grade, because usually I get constant reminders that it’s too young for me, and mostly, I don’t feel like I get much out of it. Why would I? I’m not the target audience. That was not the case with this book. I was thoroughly engaged, invested in the characters, and I got some powerful takeaways from it. The fantastic thing about this book was that it transcended audiences. - Alec and Josie are probably the cutest things ever, in their own ways. Alec is devoted to his new friend and helping her however he can. Being separated by a hundred years makes it a bit more difficult, but being in the future has its advantages, too. Josie’s troubles are more visceral and gut-wrenching. Trapped within the confines of a house with no friends and an abusive mother, the future seems bleak—except when she speaks to Alec, of course. He makes the future sound wonderful. If only she can survive her current situation. There’s such a tone of hope, and the friendship between them builds naturally and is just so sweet. It’s the sort of beautiful, pure connection that only two 12-year-olds can have, of course, which makes it all the more special. - The time travel spin was unique and interesting. I confess, when I see time travel, I balk. I’m not a huge sci-fi fan at its best, and time travel in particular often leaves me doubtful. However, this isn’t true time travel in the sense that persons are sent hurtling through time. The way it’s approached in this book is much more circumstantial and believable, which I liked. It didn’t require a huge suspension of disbelief. - WHERE DID THESE FEELS COME FROM AND WHO THOUGHT THIS WAS A GOOD IDEA? I’m not a big fan of *hiss* emotions. Or feeling them. It’s a hassle. That being said, I felt all the emotions with this book. It was funny, sad, heartwarming, angering, hopeful, dreadful. I snapped between them so quickly that I was afraid I might get emotional whiplash. In the end, the gamut was well worth it, and how the book closes is fantastic and fulfilling. - What’s up with Mrs. Gubbins? This isn’t a huge negative, and maybe it doesn’t require explaining in a middle grade. But Mrs. Gubbins obviously isn’t just a doll or just a figment of Cass’s imagination. I kept finding myself wanting to know how she was tied to the girls, though, and what happens to her. Maybe I’m just nosy and that’s why, but I really wanted some follow-up about her. - Where the heck is karma when you need it? Mrs. Clifford is awful. AWFUL. She’s meant to be, because there are awful people in the world, but gosh darn it, karma is supposed to get those people. Where the heck was fire and brimstone and fury? I know, I know, you’re not supposed to wish bad things on people, but I kept hoping she’d get her comeuppance. Unfortunately, I think part of that is just a facet of mid-grade works, but you know what? I’m just going to imagine it, and that’ll make me feel the world is still in balance. - TRIGGER WARNING FOR CHILD ABUSE. I don’t believe this is mentioned anywhere else, and I think it should be said, considering it took me off guard. I don’t mind it, personally, but I know several people who if they had started this book, it would have triggered them. So make sure you know what you’re getting into going in. It isn’t graphic or gratuitous, but it could definitely be triggering, so be forewarned. I knew I had to read this as soon as I read the description, because it reminded me of Lake House, and I was hoping for the same warm, tingly feelings I got from watching that. I wasn’t disappointed. Unlike the movie, however, The Boy from Tomorrow has some dark moments, moments that I think are made even darker by being an adult (and for me, being a parent). However, every moment of it felt real and true to life, and the overall feeling was optimism and hope for the future, and I definitely came out the other end with the warm tinglies and having enjoyed the book. More than just for kids, I would recommend this to any age who wants a light, easy read that will stir up some emotions and leaving you feeling warm inside. It is my first time reading a book that’s almost like time-traveling. By almost, I mean the characters didn’t literally jumped from one era to another, however, they were able to communicate in spite of a hundred-year gap. Their medium of communication was an Ouija board. Horror? Not at all! Though this book kind of spooked me at one point, and we’ll talk about that later. There is only one word for the writing: beautiful. The images the author conjured in my mind were very precise. The message of the story was clear and the mood was just right. It was told in third person point of view, but the time period was alternating—19th century and 21st century. Josie was the girl from the past and Alec was the boy from tomorrow. Each of them had a story to tell so it was like reading two stories in one novel. The connection of the two characters wasn’t lost though, making the plot richer. Speaking of the plot, it was unique. It was simple yet made a very relatable and inspirational story. It made me realize why I live for the Contemporary genre. Among the main characters, I was rooting for Josie the most. I loved it when she finally snapped and talked back to her mother. Yes, it was wrong. But, she was twelve years old and was in the point of her life where she had to voice out her feelings. We’ve been there, we’ve done that, it was some kind of freedom no matter the consequence. Their mother, Mrs. Lavinia Clifford, pissed me off to my very core! So, when you think about it, Josie talking back to her was fine. I won’t tell what she did, but I’m sure you’ll feel the same as me when you read the book. Now, to the spooky part. Josie’s little sister, the cute Cass, had this rag doll named Mrs. Gubbins. I had a theory she was the reason why the girls and Alec could communicate. This toy was creepy. It almost turned the book paranormal. See, Cass would talk to it like any typical six-year-old. Then, when Cass would say what the doll ‘said’ to her, the words were not six-year-oldish. I mean, a child would never be capable of making such sentences up, unless they’re Einsten-genius. It was like the Mrs. Gubbins really talked back. Also, that doll was shady, I swear! I highly recommend this book to everyone! If you’re into time-defying stories, then this book is for you! THANKS FOR READING! AND I ALSO WANT TO THANK THE PUBLISHER FOR AN EARLY COPY OF THIS BOOK, GIVEN VIA NETGALLEY! Camille DeAngelis’ The Boy from Tomorrow is a tale of two children living at 444 Sparrow Street in the fictional town of Edwardstown in the Adirondacks exactly one century apart. Twelve-year-old Alec Frost’s fragile mother is still reeling from her husband’s leaving her for a young blonde, and he has no friends after leaving New York City. Josie Clifford, only slightly younger and tutored at home with her mischievous 6-year-old sister Cassie, is very rarely allowed to venture from home in 1915 b Camille DeAngelis’ The Boy from Tomorrow is a tale of two children living at 444 Sparrow Street in the fictional town of Edwardstown in the Adirondacks exactly one century apart. Twelve-year-old Alec Frost’s fragile mother is still reeling from her husband’s leaving her for a young blonde, and he has no friends after leaving New York City. Josie Clifford, only slightly younger and tutored at home with her mischievous 6-year-old sister Cassie, is very rarely allowed to venture from home in 1915 by her cold, selfish mother, Lavinia Clifford, a well-known spiritualist medium of the day; consequently, Josie’s tutor, kindly Emily Jasper, is the girl’s only friend. Josie and Alec encounter each other thanks to a splendid, one-of-kind Ouija board (then known as “spirit boards” or “talking boards”), one of the tools of Lavinia’s trade. Both commiserate over their difficult families and delight in discovering the day-to-day life of 1915 and 2015. DeAngelis weaves a pretty good narrative, alternating between Josie’s timeline and Alec’s, with plenty of suspense and unforeseen twists. The very last chapter was a bit weak, although not enough to ruin the pleasure of this middle-grade marvel with a wonderful message. Adults will, of course, understand DeAngelis’ novel at a different level than will children, but both will be glad they read The Boy from Tomorrow. Lastly, the pen-and-ink drawings by Agnieska Grochalska perfectly complement both ends of the narrative. I received this book from Netgalley, and I'm so glad that I did - I LOVED this story. I'm a sucker for time travel and this is so different from a typical time travel story. Alec and Josie are both 12 years old, and they live in the same house, but they live a century apart. Josie is from 1915, and Alec is from 2015 and they find each other through a Ouija board that belonged to Josie's mother. What I liked about this book - the friendship between Josie and Alec felt authentic. I loved their inte I received this book from Netgalley, and I'm so glad that I did - I LOVED this story. I'm a sucker for time travel and this is so different from a typical time travel story. Alec and Josie are both 12 years old, and they live in the same house, but they live a century apart. Josie is from 1915, and Alec is from 2015 and they find each other through a Ouija board that belonged to Josie's mother. What I liked about this book - the friendship between Josie and Alec felt authentic. I loved their interactions, and how much he cared about her. I loved how the mystery unraveled as Alec hunted for clues about what happened to Josie, Cass, and their mother. The mother as villain was done very well - she was a horrid mother and I found myself worrying about the fates of the two girls. What I didn't like - I really don't have many negatives. I would have liked for Alec's storyline to be a bit more developed. We spent more time in Josie's timeline, which was the more interesting story as well as the basis for much of the plot, but I think Alec's could have been deepened just a little bit more. Overall, I thought this book was a lot of fun and I highly recommend it. I think it would make a fantastic read aloud. I need to not DNF books but I'm too anxious because of finals to read things that I don't fully love. I'll probably give this book another chance but for now I'm putting it back on my TBR list. As you can see from the blurb, this story is about two (technically three) children, Josie and Alec. They are the same age, and they live in the same house in the same room… a hundred years apart. I absolutely loved all the ways they managed to send messages to each other, like the letters I received an ARC through NetGalley in exchange for an honest review. As you can see from the blurb, this story is about two (technically three) children, Josie and Alec. They are the same age, and they live in the same house in the same room… a hundred years apart. I absolutely loved all the ways they managed to send messages to each other, like the letters or the writing on the windowsill. As Josie said, for every flower Alec found, they had to plant the seed first. It’s been a while since I’ve read a book in the middle grade genre and I’d forgotten how much I enjoy it. This story shifts from past to the future, between a girl, Josie who lives in 1915 and a boy, Alec, in 2015 – how they form a friendship which changes both their lives. Josie and her six-year-old sister, Cassie are stuck living with a mother who’s a medium. She’s also a cold, heartless woman who has no time or love for her two sweet children. If not for their tutor Emily, Josie and Cassie would have no love in their lives. In comparison, Alec’s mother was awesome. Josie, Cassie and Alec all had their own troubles to deal with. I liked all the three main characters. Cassie was so cute—a sweet, impish little girl with an infectious wit. This story was wonderfully well-written. I liked the author’s writing style very much and the characters were interesting. The descriptions were elaborate and painted quite a picture. The story-line gripped my attention and kept it. Who wouldn’t find the idea of communication from the past to the future wicked cool? I did and if not for the ending, I would have given this book a solid 5 stars. The ending was disappointing. A lot of issues were left unfinished without the proper conclusions and explanations. Except for the unsatisfactory ending, this was a pretty good book. Yay! Netgalley granted me a wish for this book! I think it's time to admit I won't be finishing this. It's not a bad book and it has an interesting premise but it's too childish for me. The Boy from Tomorrow is a well-told, solid story and the true strength here lies in the characters. In the past, Josie and her little sister Cassie were simply charming, I wanted Emily to be my tutor, and the girls' mother is a powerful force. In the present, Alec was the star and his friend Danny was very likeable, too. The interactions between all of the children were very believable and there was a powerful sense of connection between them all. Once this story got rolling, I was truly enchan The Boy from Tomorrow is a well-told, solid story and the true strength here lies in the characters. In the past, Josie and her little sister Cassie were simply charming, I wanted Emily to be my tutor, and the girls' mother is a powerful force. In the present, Alec was the star and his friend Danny was very likeable, too. The interactions between all of the children were very believable and there was a powerful sense of connection between them all. Once this story got rolling, I was truly enchanted by these children. It took me a bit longer than I expected to get used to the writing style in this book, but once I found the rhythm, I was really pleased that the language wasn't dumbed-down at all. I also appreciated that Camille DeAngelis didn't shy away from putting the children into situations that were truly unnerving. This made me care more about the characters and added a decent amount of tension to the plot. I can imagine the delicious sense of foreboding I would have felt if I'd read this as a preteen. I'm always a sucker for books with alternating chapters that are handled well, and the author did not let me down there -- it was always very clear immediately which time we were in as a chapter began. Unfortunately, though, even with those alternating chapters, the story wasn't quite balanced enough for me, and that drops this book from being a 5-star, all-time favourite into the 3.5 to 4-star range. The past is filled with a more detailed setting, in part because all of the action takes place in one location, while Alec roams around to different places in the present. But the past also features more fully-developed supporting characters than the present. The only contact we're shown with Alec's father decidedly did not go well, but then was never mentioned again, and we hear about his mother as more of a background character instead of playing a strong contrasting role to the girls' mother. In addition, the startling tribulations the girls were facing in their time could have been better complemented by showing Alec's problems more starkly. His parent's divorce and fallout is glossed over somewhat. While we're *told* Alec is upset, and we see a brief scene with a counsellor, we're not really shown the true extent of his emotional distress. In fact, when his mother finally realizes that the girls from the past are real, she actually almost dismisses the idea that he had any emotional problems at all. This aspect of the story is begging for more depth, and could have been a wonderful portrayal of dealing with mental illness (anxiety/social anxiety) in the modern world. A lot of the time it seemed like Alec from the future was teaching the naive girls from the past, when it would have been really interesting to see those lessons more obviously going both ways. One example is a falling out Alec has with a friend of a friend. The unease he felt about the interaction was very realistic, but Alec later comes to a very mature realization about that kid all on his own; it might have been interesting to show a stronger link to a lesson learned from his conversations with Josie. On a final note, as an adult, I loved the ending, but I wonder whether its charm would hit the mark with a younger reader. Overall, this was definitely an enjoyable read that I would recommend to the younger readers in my life. I just wish the depth of the present story had been enough that I'd want to shout about this book from the rooftops. When I hear "time travel" I always think, instinctively, of future technologies, bright lights, and the cheesey fog machines of 1980s sci-fi films. I do not, however, often think of talking boards. I GREATLY enjoyed this book. I've never been much of a fan of science fiction or time travel, but this is a refreshing change of pace for a genre done half to death. It was at times and immensely heartbreaking and hard to stomach, I felt a very familiar sense of fear and anger in my bones that showed When I hear "time travel" I always think, instinctively, of future technologies, bright lights, and the cheesey fog machines of 1980s sci-fi films. I do not, however, often think of talking boards. It was at times and immensely heartbreaking and hard to stomach, I felt a very familiar sense of fear and anger in my bones that showed up each and every time Josie's mother did. Its not a situation anyone wants to think of two young girls being in, but it was needed. The contrast of their lives to Alec's allowed for so much growth in all of them. 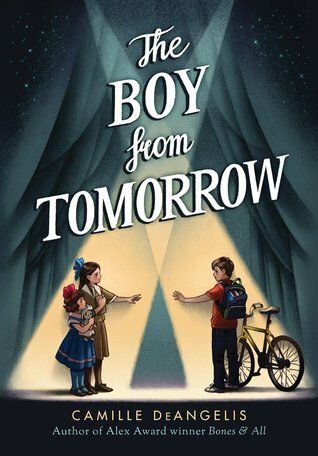 "The Boy From Tomorrow" handled merging timelines with graceful execution and molded them into a heartbreaking, but inspiring story of finding courage and friendship in the most unlikely place. This is not so much a time-travel book, thought it is, and it isn't so much historical fiction, though it is. It is a different take on the usual way of doing time travel or historical fiction. Alec corresponds with a girl who lived in his house a hundred years ago, first through a ouija or spirit board. It sounds odd, but it works. Alec is going through problems, and so is Josie, and they both give each other mutual support. The thing about time travel, is the pieces all have to fit together, and This is not so much a time-travel book, thought it is, and it isn't so much historical fiction, though it is. It is a different take on the usual way of doing time travel or historical fiction. The thing about time travel, is the pieces all have to fit together, and these do. This is not the Blink, from Doctor Who, but it has those elements, of notes passed through the years by being hidden in places where Alec will find them. And, although I think adults should never be involved in this sort of magic, in this case, it worked. It was the teather to the real world, so to speak. When Alec Frost moves to a large house on 444 Sparrow Street, he and his mom are looking to start fresh. One day, while Alec is exploring his new home, he finds a spirit board. When he started playing with this talking board, he has no idea he is about to form one of the best friendships in his life, with Josie Clifford. The only problem is… they live a century apart. This friendship just might end up changing the course of both of these young people’s lives. Overall, this book made me feel really comfortable. The house felt really beautiful and the writing made me at ease in the story… I don’t know how to explain it. I loved the small illustrations, done by Agnieszka Grochalska. They were adorable and helped me mesh with the characters. The beginning of the story brought a lot of confusion for me. I was unsure of who some of the characters were because they didn’t leave an impression when they were introduced. Most of the confusion was rectified as the story progressed and I became more invested in the plot and characters at about the middle point in the story. I also felt like everything was just happening in the beginning of the story. I struggled to find the purpose. Again, this was fixed as the story went on. One thing I wish was more explained is the technicalities behind the communication across the century. How were they always available at the same time? I have many questions about this. I also really wish that the reader learned more about Mrs. Gubbins. I am awaiting a spin-off story only about her! I really enjoyed the different viewpoints that the story was told in. The juxtaposition between the two time periods was very interesting and I appreciated the historical aspects that were integrated into the story. For example, it was quite humorous for Alec to explain things from the modern world to Josie, such as computers and the Internet. I loved the ending of the story. It brings to attention the terrible things Josie’s mother did and allowed Josie and her sister to find peace and happiness. The ending was the best part for me. After the middle of the story, I was interested in what was going to happen next. This story is great for the middle-grade age. It is perfect for lovers of magic and friendship. A fantastic story about a friendship that spans the ages. Well-paced and crafted, this is a great book for readers who enjoyed Leila Sales's ONCE WAS A TIME or Ronald L. Smith's THE MESMERIST. Highly recommend! I loved this little Middle-Grade book, it was so amazing! I look forward to reading more books from this author, this book made me laugh and cry. When I started reading this, I was just hoping to get a fun middle grade book about two kids being friends despite them being 100 years apart from each other. I didn't expect my heart to ache every other page. Both main characters are relatable, real and a pleasure to follow. You can clearly see the differences between them, and that somehow makes them fit in the story perfectly. The writing style was amazing. It didn't hold back from using long words, I received an ARC of this book via NetGalley. The writing style was amazing. It didn't hold back from using long words, which many middle grades do. It keeps you in the edge of your seat and makes you feel deeply for the characters and the hardships they go through. I loved reading Alec, Josie and Cass interacting through letters, phonographs, messages carved on windowsills and time capsules. They all felt like genuine twelve year olds, had that distinct "not a kid but not a teen either" way of thinking and solving problems that when done right is the most joyous thing to read about for me. Trigger warning for child abuse here, Cass and Josie's mother gives them hell. I appreciated and hated her character more and more with each passing page. A good contrast with Alec's mom, who ends up knowing his secret and talking to the girls. She tries REALLY hard to believe what her son is telling her, and it was great for a change. Moms don't usually get a part in middle grade or young adult literature, and it was very refreshing to read. This was simply a heartwarming and charming story. That is the first thing that comes to my mind when I think about this book. There is just something wonderful about the friendship formed between a boy and a girl from different times. The writing style within this book was very easy to fall into. It painted a nice picture and I could imagine everything clearly. The main characters were definitely the highlight of this book. I enjoyed following both Alec and Josie and learning more about them. My biggest problem with The Boy from Tomorrow is the time of the story. There weren’t clear breaks within the narrative, it just felt like the events were running together. The made the story feel a bit choppy. Currently, if asked to describe this book, my eyes would just sort of roll back in my head and I would go “ugh this book!” and you would be like “uh Patricia is that good or … ?” and I would look at you and my jaw would sort of uncomfortably shift to one side and you’d ask me if I’m okay and I would say, “read this book.” Anyway, that is how I fee I received this book for free from Netgalley in exchange for an honest review. This does not affect my opinion of the book or the content of my review. Currently, if asked to describe this book, my eyes would just sort of roll back in my head and I would go “ugh this book!” and you would be like “uh Patricia is that good or … ?” and I would look at you and my jaw would sort of uncomfortably shift to one side and you’d ask me if I’m okay and I would say, “read this book.” Anyway, that is how I feel about The Boy From Tomorrow. I am still trying to figure out how to explain this one without giving too much away, and because I am still processing My Feelings™ I am not 100% sure I even can! I will try. Let’s try. The Boy From Tomorrow is a middle grade book that ignites hope all of us have deep inside that still burns reverently that there is still some magic in this world. It explores the possibility of connections across decades, between people who will never meet. And yes, I repeat: this is a book for children. Because we often underestimate a kid’s capacity for “big” stories like this – definitely don’t. It’s 2015. Alec moves into an old, run-down house that “has potential,” as some guy on HGTV with a bushy beard would say. His mom is recovering from a recent messy divorce and Alec is feeling all sorts of things – he is 12 years old, and that’s just the sort of thing that happens. He explores the old, creaking house, and discovers a Ouija board. With two of his new neighbor friends, Alec sets off to talk to a ghost, because that’s what a 12 year old does with a Ouija board, and frankly so would I at 28. Only problem is, someone answers. And it’s not what you would expect. It’s 1915. Josie is 12 years old, and lives in the self-same house. 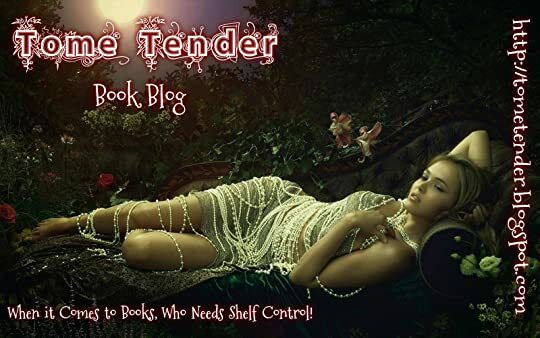 She has a little sister named Cass, a beloved tutor named Emily, and their abusive mother, a psychic spiritualist who often has people over to her parlor to read their futures. One evening, Josie reaches for her mother’s spirit board, and connects with Alec, 100 years in the future. When they discover that they aren’t talking to ghosts, but to actual living, breathing humans, they start to experiment. And both their worlds will never be the same. I absolutely adored this book. At under 300 pages, I still felt like each character was a friend of mine – sweet, gentle Alec, determined Josie, stubborn Cass. I hated Josie and Cass’s mother right along with them, begging her mentally to quit being a terrible person. I felt aligned with Alec’s mom, understanding how hard it is to rebuild from the ground up when you expected your way of life would last forever. I felt terrified whenever Cass would talk through her creepy doll, Mrs. Gubbins – seriously, Mrs. G is the reason I had to turn my lights on one night. May I reiterate that I am almost 29 years old and a grown adult? Okay, just checking. Going into The Boy From Tomorrow, I expected a cute, lighthearted romp through time. What I got was so much more. Heavy topics like abuse and death frequent these pages, providing a balance to the wonder and whimsy of the magical/fantastical elements. Getting to know Josie, Cass, and Alec - and then watching all three grow up - made the ending all the more bittersweet. I'm positive this book will find just as many adult readers as it will children, and I'm so glad I read it. For the full review a Going into The Boy From Tomorrow, I expected a cute, lighthearted romp through time. What I got was so much more. Heavy topics like abuse and death frequent these pages, providing a balance to the wonder and whimsy of the magical/fantastical elements. Getting to know Josie, Cass, and Alec - and then watching all three grow up - made the ending all the more bittersweet. I'm positive this book will find just as many adult readers as it will children, and I'm so glad I read it. This was a really excellent story. It started a little slower than I wanted, but picked up fairly quickly and I'm so glad I stuck with it, because it was lovely! What lonely little kid hasn't imagined they might one day stumble upon a friend, someone who would understand them and help make them feel more at home in their own skin? Now imagine if you could *actually* make such a friend - not an imaginary one, but one who is altogether real, albeit separated from you indefinitely by time and space This was a really excellent story. It started a little slower than I wanted, but picked up fairly quickly and I'm so glad I stuck with it, because it was lovely! What lonely little kid hasn't imagined they might one day stumble upon a friend, someone who would understand them and help make them feel more at home in their own skin? Now imagine if you could *actually* make such a friend - not an imaginary one, but one who is altogether real, albeit separated from you indefinitely by time and space? Such is the magic of The Boy From Tomorrow. Camille DeAngelis has crafted a beautiful, sweet, painful-to-read tale about the unique friendship that develops between Josie, a lonely twelve year old girl, and Alec, a slightly-less-lonely-but-still-searching-for-something twelve year old boy. Sounds fairly standard - until you add in the beautiful twist: for Josie, it is 1915, for Alec it is 2015. The beauty in the story arises as the differences between the children fade away, and the magic is wholly captured by the lovely prose in which DeAngelis lays out the burgeoning relationship between the two - a relationship that starts with a Ouija Board. Josie (and her little sister Cass) live with a brutal, selfish, horrid "mother" who is a leading Spiritualist/Medium in early twentieth century New York City. The use of a self-proclaimed medium as antagonist was deliciously ironic, considering the magical twists and turns that the tale takes as true communication with "spirits" develops between the two kids. The story that unfolds is lyrical and moving, full of tidbits of history and family drama on both sides of the time divide (Alec's parents have just divorced). The story is, at times (especially in the beginning and whenever Cass's doll, Mrs. Gubbins, enter scene), eerie - until Josie and Alec figure out what is going on, there is a lot of confusion and fear, as one would expect if one was suddenly "communicating" with an actual Ouija Board. But the story unfolded at a solid pace, with just enough teasers about what was going on to keep me thoroughly engaged and curious to see what would come next. The supporting cast (particularly Danny, Alec's new real-time friend, and Emily, the girls' savior) was well-developed and provided a nice counterpoint to the main characters. And of course, the thoroughly distasteful Lavinia (Josie and Cass's mother) provided an excellent foil - she was horrid, but at just the right points to drive the story in a positive direction (if that makes any sense). The Boy From Tomorrow by Camille DeAngelis is a children's adventure book aimed at ages 8-11 years. I am considerably older and I really enjoyed the tale. The story unites two children one hundred years apart, who live in the same house. Their bond, formed through curiosity and loneliness is beautiful to witness. There were some very different parenting ideas at the beginning of the twentieth century. The modern reader consequently finds some of the passages of child cruelty difficult to read. 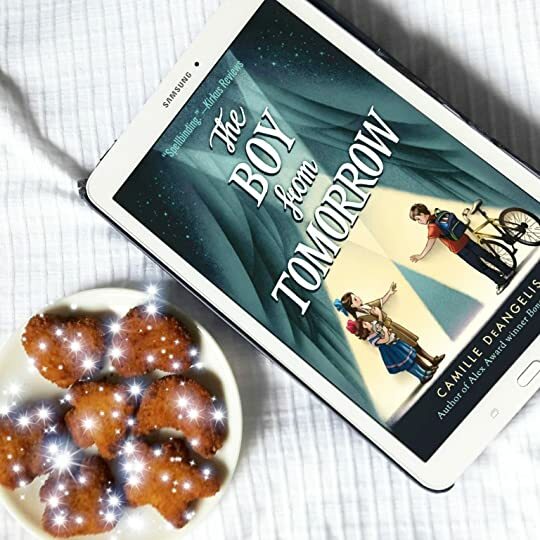 A si The Boy From Tomorrow by Camille DeAngelis is a children's adventure book aimed at ages 8-11 years. I am considerably older and I really enjoyed the tale. A sisterly bond is beautifully portrayed. The reader can 'feel' the love and desire to protect. The novel has single parent families. Both uniquely drawn and elicit two very different feelings from the reader. The Boy From Tomorrow is both absorbing and entertaining. I loved it. I was also impressed that the author warns against talking boards in real life, saying to leave them for stories. A compulsive read that I read in just one sitting. Josie lives in 1915. Her mother, twice widowed, is a medium, and she is not kind to Josie and her little sister Cassie. Alec lives in 2015. He and his mother, in the midst of a divorce, have just moved to the house that Josie lived in. He's navigating a new neighborhood and a new normal with his dad gone. Alec finds a "talking board"—a Ouija board—hidden away in his new-old house, and he and two new friends play around with it and manage to contact Josie. This opens up a friendship between Alec a Josie lives in 1915. Her mother, twice widowed, is a medium, and she is not kind to Josie and her little sister Cassie. Alec finds a "talking board"—a Ouija board—hidden away in his new-old house, and he and two new friends play around with it and manage to contact Josie. This opens up a friendship between Alec and Josie (and Cassie). After the first scene, there is nothing dark or strange about the contact between the children: it's a lifeline to both of them, each in a hard situation. I love that through their conversation, Alec empowers Josie to solve a vital problem in her life. Things I liked: I like that Alec and his mom eat vegan! It was a fun detail for me since I eat that way too. I like all of Alec's research expeditions to the library, graveyard, etc. And I liked the historical details, especially about how mediums were perceived and about women's rights and WW1. Imagine making a new friend who lives in the same house as you, but is a hundred years away from you. This is the plot of this book. In 2015, Alec Frost, 12 years old, moves into a old house, and while exploring it, discovers a ouija board. He starts using it and who answers him? Josie Clifford, also 12, with her sister Cass, who live in the exact same house, but in 1915. I absolutely love friendship stories, and this one had a twist I knew I would love it very much. It was so beautiful and at t Imagine making a new friend who lives in the same house as you, but is a hundred years away from you. This is the plot of this book. I absolutely love friendship stories, and this one had a twist I knew I would love it very much. It was so beautiful and at the same time so painful to read about Josie, Cass and Alec becoming friends, even though they are not alive at the same time. Knowing the only thing they could offer the other were words. But it was so well done. They help each other with their problems and I think it was really the right time for them to “meet”. I couldn't put this down! I never read while walking, but I read the last chapter walking home from the subway. It's not an easy thing to maintain suspense in a time travel story in which the present-day character could theoretically look up everything about the historical character's life, but DeAngelis has done it. I never felt that Alec was unrealistically putting off learning about his friend, especially given the thoughtful conversations they had about whether it's better to know the future I couldn't put this down! I never read while walking, but I read the last chapter walking home from the subway. It's not an easy thing to maintain suspense in a time travel story in which the present-day character could theoretically look up everything about the historical character's life, but DeAngelis has done it. I never felt that Alec was unrealistically putting off learning about his friend, especially given the thoughtful conversations they had about whether it's better to know the future or not. I'm the author of three fantasy novels for adults—Immaculate Heart, Mary Modern, and Petty Magic—and my YA novel, Bones & All, won an Alex Award from YALSA and the American Library Association in 2016 (thank you, librarians!!) My book of practical philosophy, Life Without Envy: Ego Management for Creative People, was published by St. Martin's on September 27, 2016.